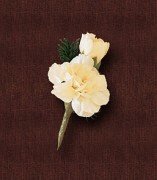 Click the button below to add the White Rose Boutonniere to your wish list. A single white rose, clean as new-fallen snow, and dressed up with a sprinkle of baby’s breath. A super choice for a classic tux. 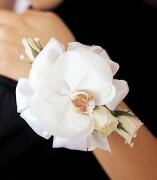 The boutonniere features one splendid white rose decorated with baby’s breath, ready to dress up one sharp jacket.